Since I have developed some mild Eczema due to my Ichthyosis Vulgaris, I tried all kinds of cream to reduce the rashes, dryness and itchiness. Some provided by the doctors, even skin specialists, caused more itchiness and spreading rashes. I found this cream the most effective for me, and it is very cheap, only RM5 for the 10g and I think RM8 for the 20g tube. The 10g tube can last me for a month during normal breakout because it only takes a few days to reduce the redness and itch. 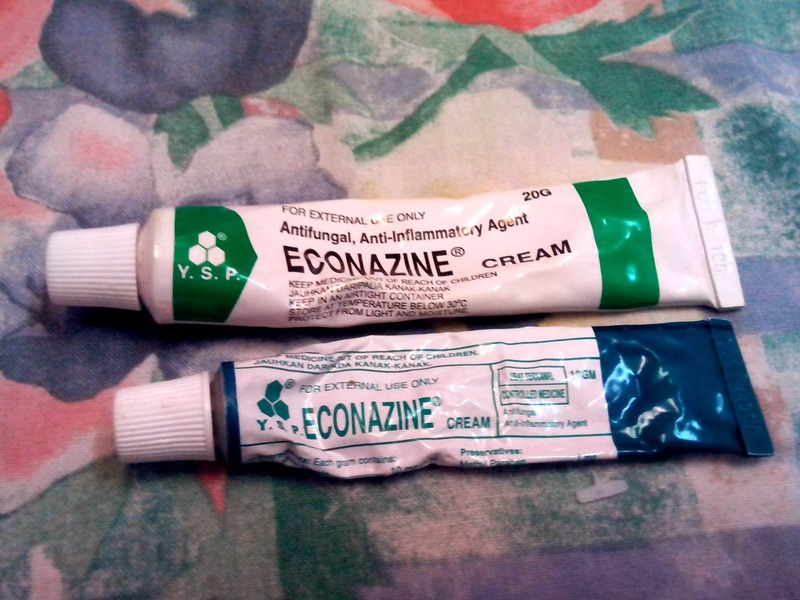 It is called "Econazine" cream, I am not sure how I found out about it since I had been using it for over 5 years now. Probably just a day when I had Eczema and my parents dropped me at some pharmacy and the pharmacist just introduced me to this cream. This is how the Econazine creams look like. They have the 10g and 20g tubes, I usually bring the 10g for traveling and get a few 20g to keep at home. 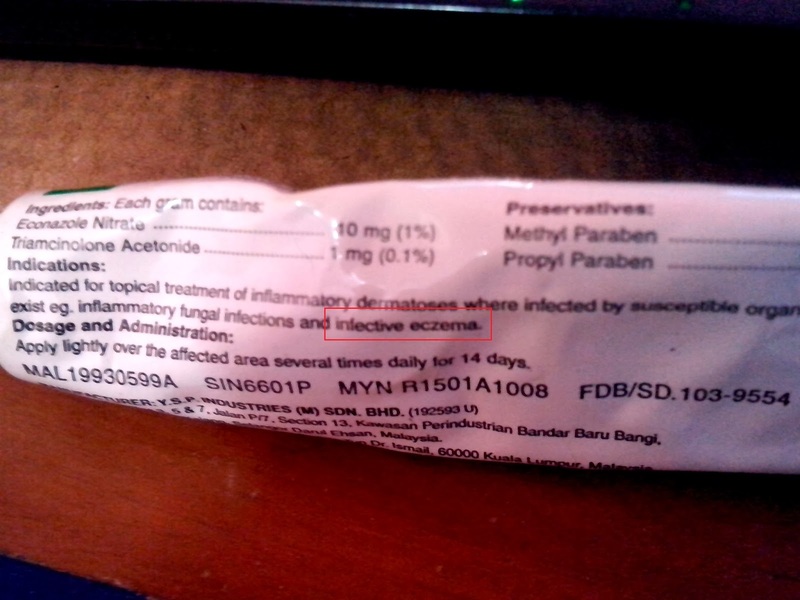 As written, the cream is actually for antifungal and anti-inflammatory use. It is also written for infective eczema, which is probably my case because this works wonders! This is able to reduce my Eczema in over a night. I applied before bed and when I'm awake, tadaaa the redness reduced so much. To fully cure the eczema, I have to apply twice a day for at least 3 days (small affected area). If I apply this quickly when the symptoms come, it wouldn't develop to something worst. Good news! I ordered AHA Lotion from Dermal Therapy but it will take around 3 weeks to arrive in Malaysia boohooo~ Anyways, I am excited and will do a pictorial review once it arrives! I heard many positive stories about how effective it is for Ichthyosis Vulgaris and also normal dry skin.